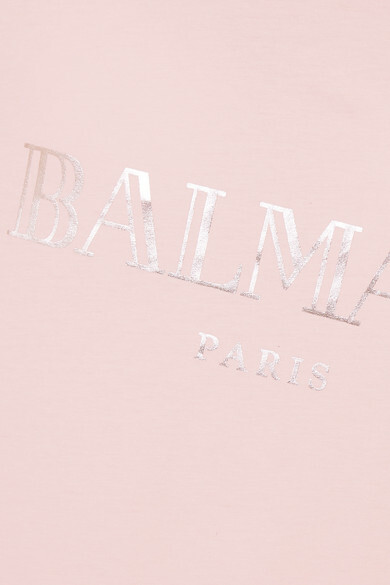 Balmain's T-shirt features two of the label's most recognizable signatures - the metallic emblem across the chest and lion-embossed buttons along one shoulder. 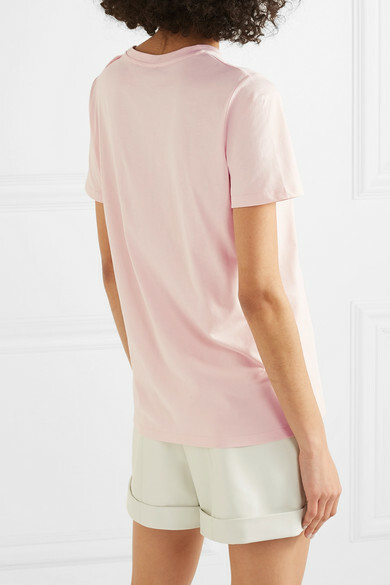 It's made from pale-pink cotton-jersey that feels so soft against skin and cut for a slightly loose fit. 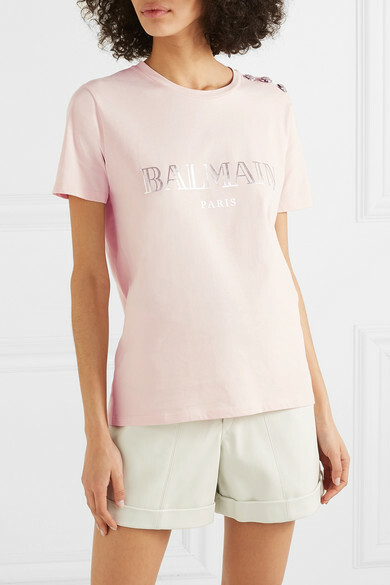 Wear it tucked into jeans or this season's utility shorts. Shown here with: Isabel Marant Shorts, Givenchy Shoulder bag, Giuseppe Zanotti Mules.